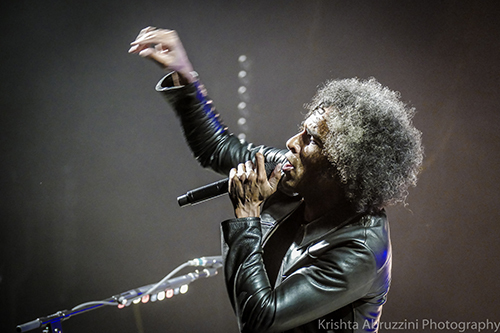 KNAC.COM - Reviews - ALICE IN CHAINS, Others In Ridgefield, WA W/Pics! 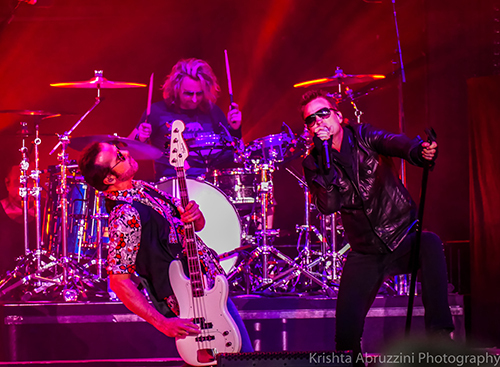 ALICE IN CHAINS, BUSH, THE CULT, STONE TEMPLE PILOTS In Ridgefield, WA W/Photos! 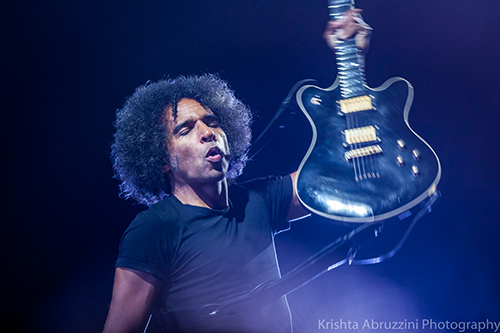 Set originally as a tri-headlining summer trek, the Revolution 3 Tour with BUSH, STONE TEMPLE PILOTS and THE CULT added yet another monster (and obvious solo headliner) to the hefty lineup, ALICE IN CHAINS. It takes me back to the festival days of Day On The Green in Oakland, CA and to a much larger scale, The US Festival in San Bernardino. I’m not sure why AIC was added to the bill, but it certainly didn’t hurt ticket sales. 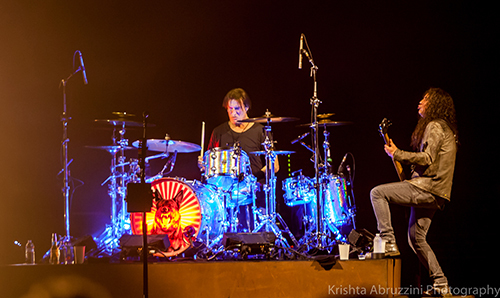 Along with the four major acts, two openers were added, which made it a 6-band show. Gates opened at 2:30 in the afternoon and the show ended nearly 8 hours later. That’s quite a commitment for those that fit the band’s demographics. While I personally used to enjoy the long festival days with so many great bands playing, let’s be honest, 8 hours on a Sunday is a bit brutal for most that will be at work the next morning. 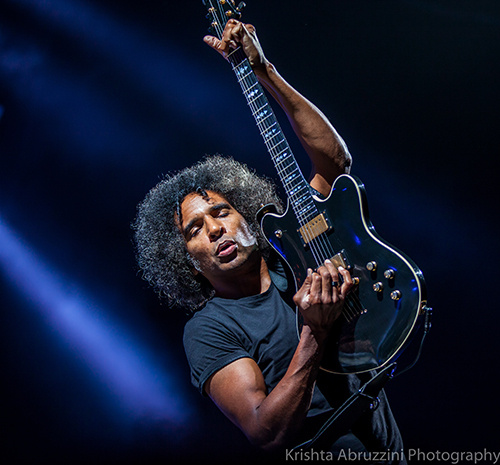 By the time headliners ALICE IN CHAINS took the stage, I saw quite a few people leaving. The pit that was full earlier in the day had plenty of room to meander about and many seats and lawn area sat empty. Perhaps it was the rain, or just the era of our time (all mostly middle-aged + adults) wanting to beat the traffic and get sleep for the next day’s work, but it was noticeable. For the many that stuck it out however, it was a great show altogether. 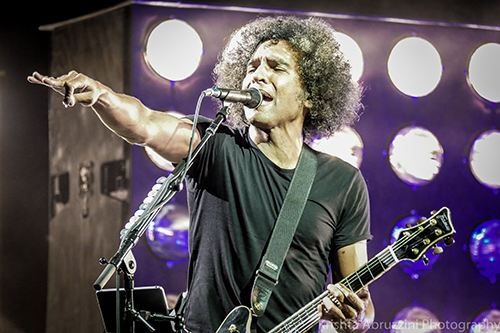 I see a lot of shows, and perhaps being a music veteran, I am more observant of the nuances that take place at shows. The larger scale festival shows always seem to be a bit more clunky, if not semi-unorganized. As a photographer for this show, we were given so many different instructions as to shooting in the pit (front of the stage) or back by the soundboard, which was ultimately the final decision that we would all shoot at the back of the venue, which is fine. I brought appropriate gear. 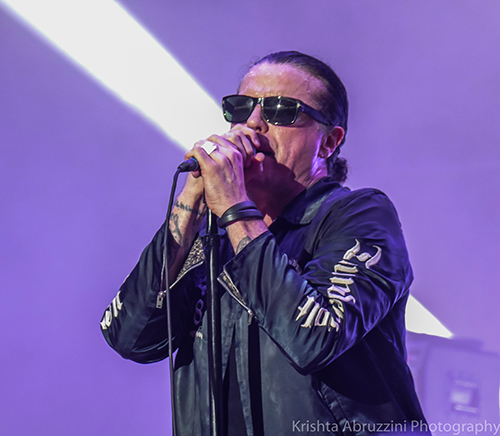 The bands all play shorter-than-usual sets, and at least at this show in Ridgefield, there was quite the confusion as to the lineup, which ended up being (the two opening acts), STP, THE CULT, BUSH and headlined by AIC. 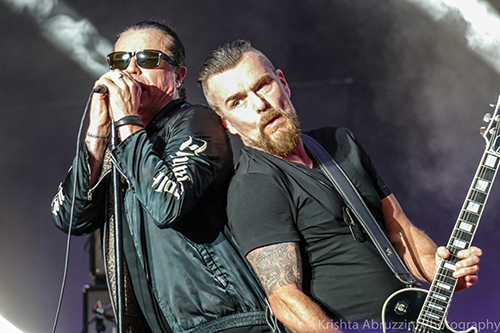 It was advertised to be STP, BUSH, THE CULT and then AIC, which led to quite a few missing some of THE CULT’s set until word got around they were onstage. A note to my peers, the beer garden is great, but if you pay the ticket price, maybe try to be present for the show itself? 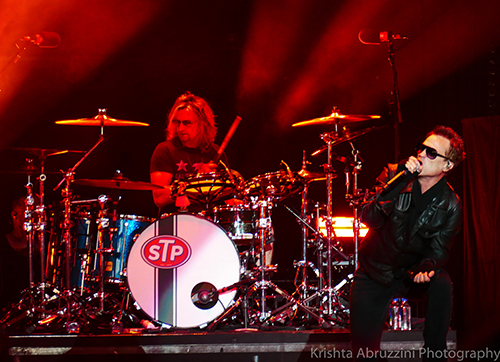 STP was first up. They’ve had so many tragedies in this band, with Scott Weiland’s death and later, his successor, Chester Bennington's tragic suicide. 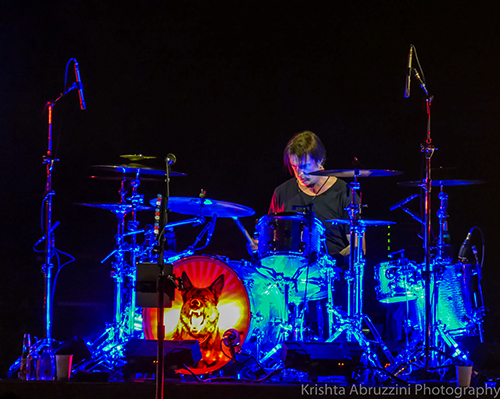 Robert and Dean DeLeo, with drummer Eric Kretz have moved forward with an X-Factor contestant, Jeff Gutt. I heard many talking at the show about how much he resembled and sounded like Weiland, followed by a few complaining that he needed to sound like himself? This was perplexing to me. Gutt was fantastic in every sense. 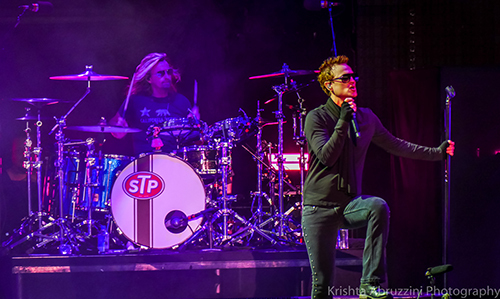 He had the swagger and vocals to pull off every popular STP song, including a couple of songs off their new album, Stone Temple Pilots 2018. The DeLeo brothers along with Kretz and Gutt all looked and sounded incredible. 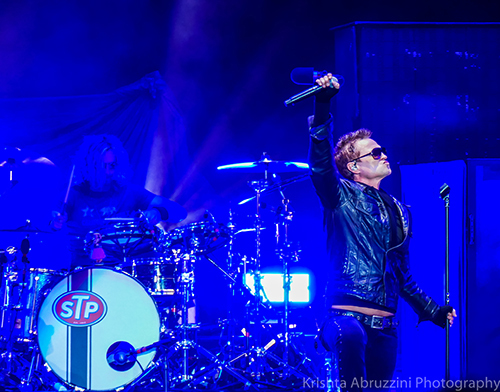 THE CULT followed STP. I again heard mixed reviews from the crowd, but I personally thought they were fantastic. THE CULT I’ve found is a weird anomaly. I grew up loving them and knowing most of their material. Maybe they were more popular in California, but moving to the Pacific Northwest, I’ve found many that have no idea who THE CULT are, or at least until they’ve heard a couple of their songs, had no idea that was who performed them. It seems really weird to me. My husband and a few of his friends have a CULT tribute here in Portland called SONIC TEMPLE. 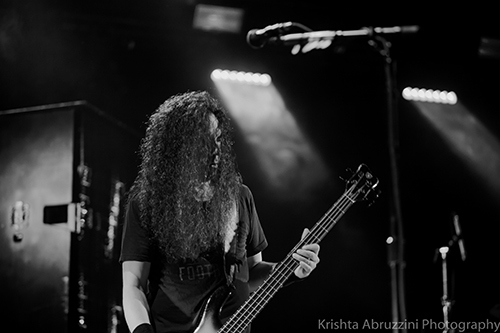 The promotor that books the tribute bands in town usually pairs them with the heavier bands, such as a METALLICA tribute, as he feels they are more of a metal band. I’ve seen THE CULT many times. They were on top of their game on this night opening with one of my favorites, “Wild Flower”, followed by many of their hits. They even had a brief nod to David Bowie with a brief segue into “Moonage Daydream”. Sigh. 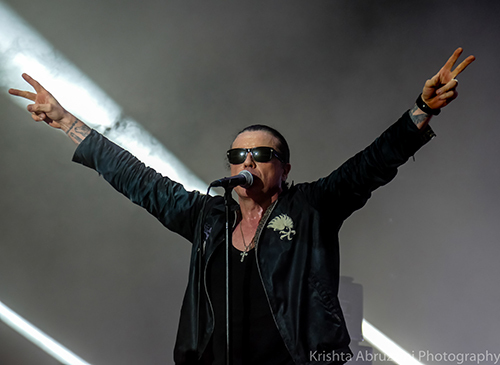 I will say that I am used to a more curmudgeonly Ian Astbury however. On this night he was jolly and fun. It oddly took away a little from me having him not go on about Darfur and the darkness in the world. 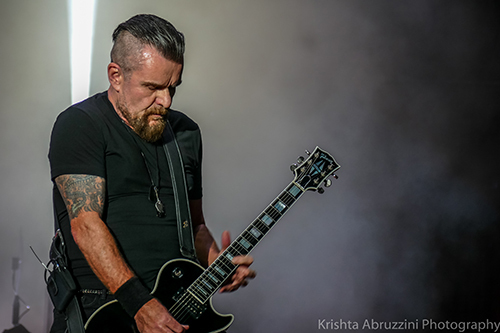 Billy Duffy sounded as great as ever. 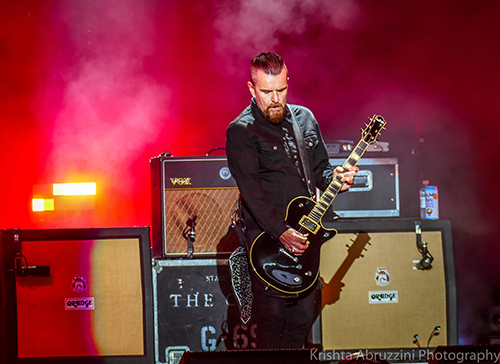 Along with Damon Fox, Grant Fitzpatrick and John Tempesta, this was my favorite band of the entire night besides ALICE IN CHAINS, which in my opinion, stands alone. Next up was BUSH. 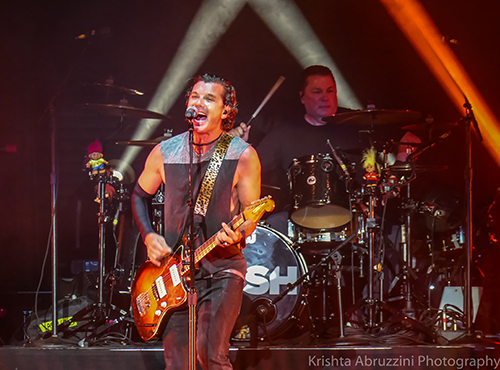 I honestly never was a big fan of the music, although the song “Machinehead” was incessantly stuck in my head the rest of the night (and is again as I write this).. Frontman Gavin Rossdale certainly had the ladies swooning. I’m pretty sure the boy has a Dorian Gray somewhere in his basement, as I swear, he hasn’t aged. It seemed a bit off to have BUSH go on right before ALICE IN CHAINS, but again, this particular tour being tri-headlining in its original intent, may not make sense with this show as a whole. ALICE IN CHAINS finished off the night. What a tight-oiled machine that organization is. They performed all the fan favorites, “Would?”, “No Excuses”, “Man In A Box”, and a few off their new album (which is fantastic! ), Ranier Fog. 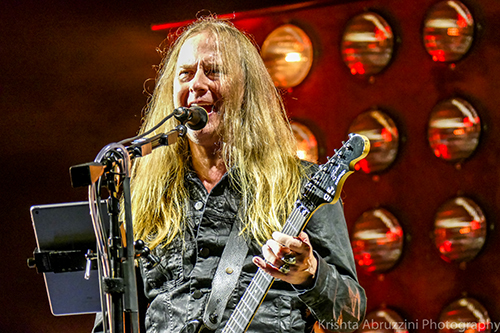 Jerry Cantrell, who has always been the major vocal harmony for this band, along with William DuVall just take this band to a new level. I’m sure I will get guff for this, and with all respect to Layne Staley, I feel as though DuVall’s vocals along with Cantrell are just haunting. 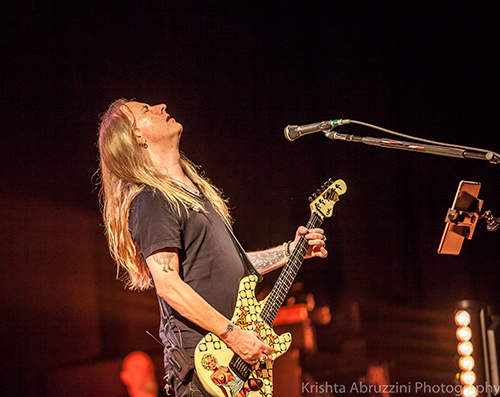 I remember seeing Cantrell on a solo tour, and being blown away that he was the reason I loved ALICE IN CHAINS. I had just assumed it was Layne Staley, but it was Cantrell that was the backbone in most of the vocals. And here’s where I will get the guff, Staley’s vocals always sounded like Ethel Merman to me. I’m sorry. DuVall and Cantrell together bring some of the most stunning harmonies in any band I’ve ever heard. 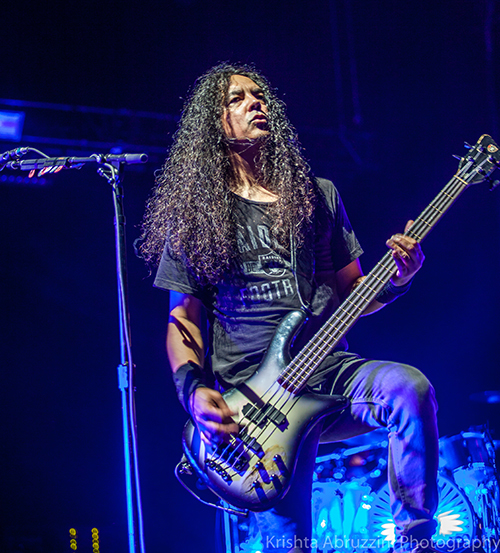 Along with one of my favorite bassists and humans, Mike Inez, and drummer Sean Kinney that make up the pocket of this band, AIC is hands down one of the best rock bands on the planet.